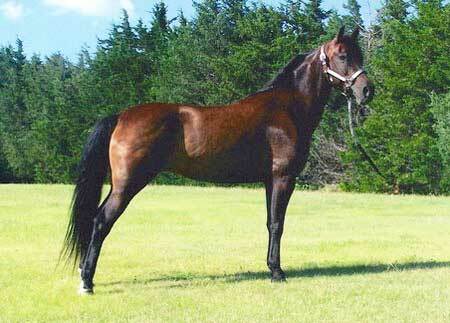 Shiloh was another pure Funquest addition to our brood mare band. Her pedigree is saturated with some of Funquest finest. There are twelve crosses to Flyhawk stacked behind her. Shiloh was a very fancy brown mare that should be shown but in our quest for preserving the pure Funquest we can not let her go out of our breeding program. This mare was a positive asset to our herd.